THE urge to demonstrate in some practical fashion the advantages of one particular machine over its rival came very early in the life story of the motorcycle, and it was in 1903 that the newly formed Auto Cycle Union adopted the idea of a Six Days Reliability Trial involving a series of daily tests, the event to be run annually. 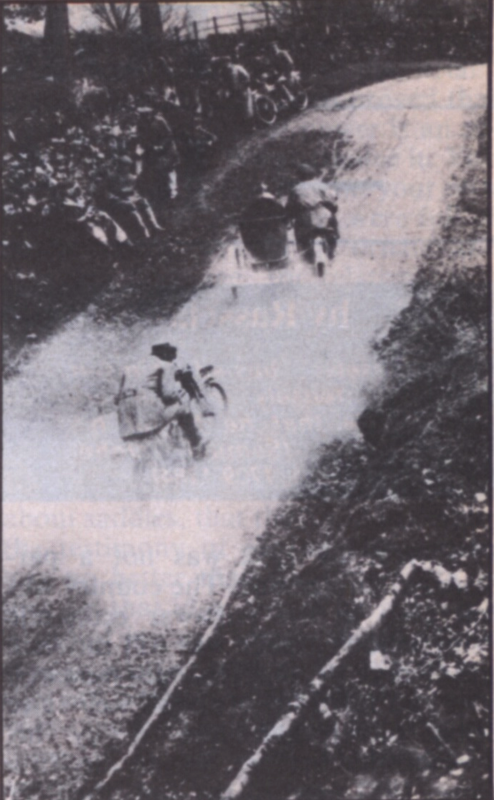 When it became known that for the Eleventh Annual ACU Six Day Trial, in 1913, the Lake District was being considered as a venue, the ACU made contact with the two local club – Westmorland CC, and Cumberland County MCC – with a view to electing suitable hills. Later it a announced that the event would incorporate the First International Touring Trial to be held under the rule of the Federation Internationale de Club Motocycliste (the FIM), and so the International Six Days Trial – nowadays the International Six Days Enduro – was born. 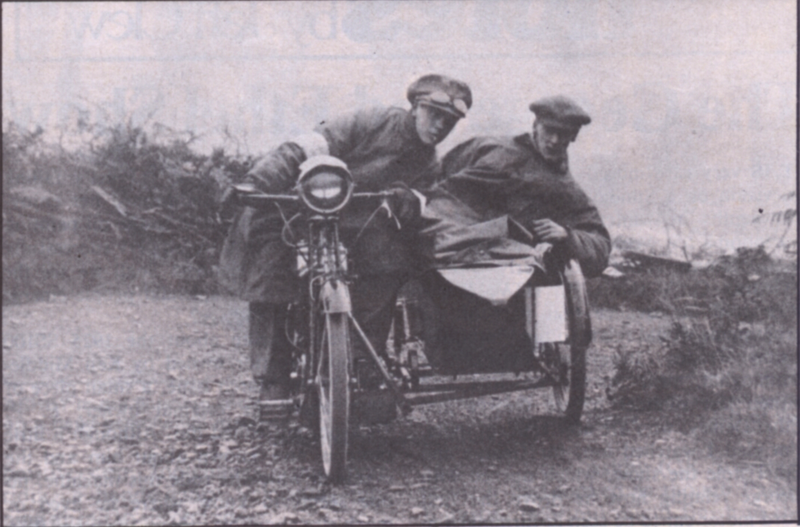 It was essential that the organization be of a high standard, and by way of a “dummy run” or try-out the ACU staged a severe Autumn One-day Reliability Trial, centred on Kendal, in October of 1912. The route included many of the hills which local club had been using for their own events, and Lakeland motor cyclists turned out in force in the anticipation of seeing some fun. 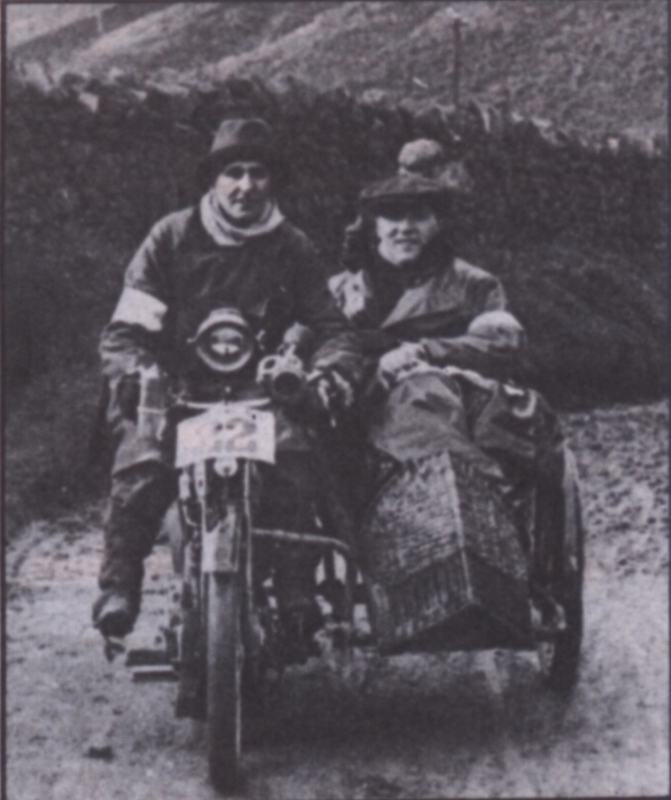 It appeared they were jealous of the fuss that had been made of Porlock and other Somerset hills in earlier ACU Six Day Trials and they were out to prove that the Lake District had hills that were even rougher and tougher. They were oon proved right, a Blea Tarn Pass topped all but a few of the 54 competitor . Photo: Failure on Kirkstone Pass doesn’t affect the spirit of F H Thornton (480 Swan Precision) he failed also at Matermillock and Red Bank. Afterward there was a good deal of grumbling over the tea table at the White Lion at Ambleside, and eventually it was agreed that mark lost at Blea Tarn would be rescinded; however, the handful of rider who had made particularly meritorious ascents would have their finishers’ certificate suitably endorsed to that effect. 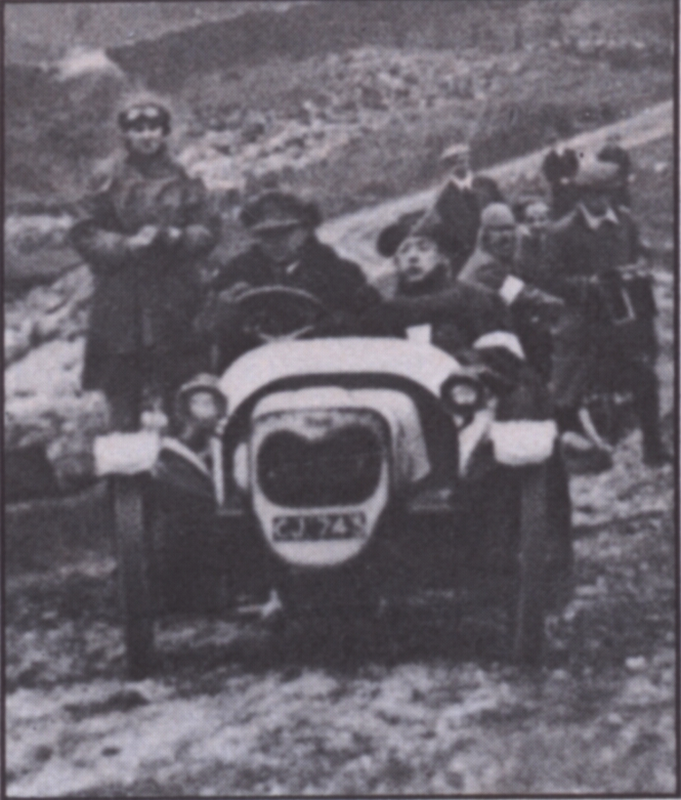 Early in 1913 the recently appointed secretary of the ACU, Tom Loughborough, visited the area for the special purpose of investigating some new hills and finalising the route for the Six Days. To demonstrate how the notorious local climb should be tackled there were Bill Hutchinson (Zenith), George Braithwaite (Rudge) and Hal Harrison (Swift) from the Westmorland Club, and John Randall (Sunbeam) and Billy Little (Premier) from the Cumberland County club. Unfortunately, during the day Mr. Loughborough, who was in a car, became separated from the motor cyclists and, later, had to follow the route on a two-speed Douglas. Photo: Seen on Tow Top , a very young Rex Mundy (1068 Friction drive GWH Cycle card. goves a list to the ‘motor cycle, nome other than ixion. Right is Steve Wright. usually the rider of a works Excelsior but here with a 988 cc Humberette. Trade riders, too, were showing interest in the coming event and in June local club members were joined for a day out by Frank Smith (Clyno), W.H. Carson (Excelsior), Hugh Gibson (Bradbury) and George Stevens (AJS). On this occasion Blea Tarn Pass was mastered. Other hills were visited, and eventually everybody gathered at Tow Top for a final session. The regulation stated also that there had been a change in the basic idea, and that this year the trial would be a prolonged test and demonstration of reliability and efficiency. For the International Trophy each country was limited to one team which had to include one passenger machine (which could be a motor cycle and sidecar, or a three- or four-wheeled cyclecar), and either two 500cc solo motor cycle or one 500cc and a 350cc. National team were entered by France and Great Britain – yet even so, the printer managed to get the team crossed so that all the programme had to be corrected in ink (imagine the chaos if there had been more than two team !). 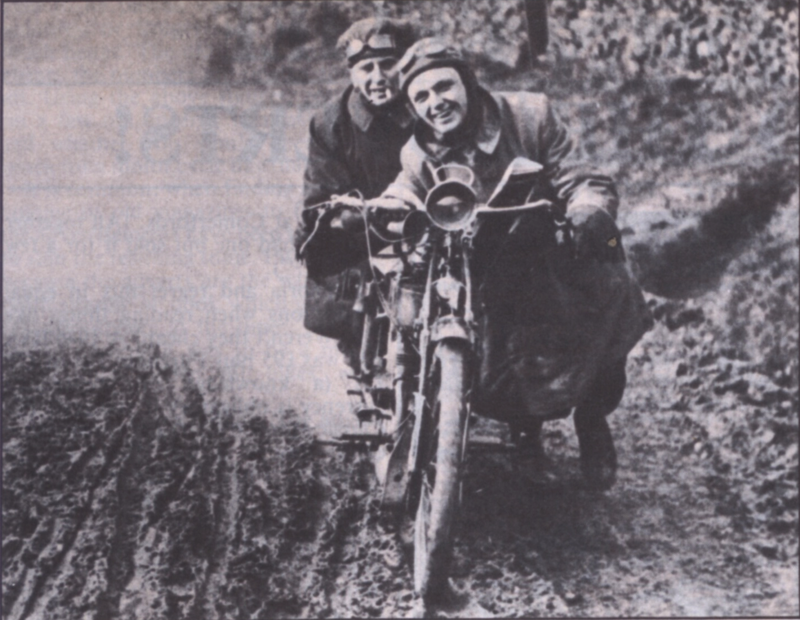 Britain’ trio comprised W. B. Gibb (348cc Douglas) who had been a surprise winner of the 1913 Colmore Cup Trial, Billy Little (499cc Premier), andCharlie Collier (7/8 hp Matchless and sidecar), and they were the first winner of the International Challenge Trophy (“Value 200 Guineas”, declared the official programme) which had been presented by the Cycle and Motorcycle Manufacturers’ and Traders’ Union Ltd, of Coventry, forerunner of today’ Motor Cycle Association. It was agreed that it had been a hard course, road surface over half of it had been very bad and the hills were very severe, but the organization throughout reflected great credit on the ACU and it secretary, Tom Loughborough.